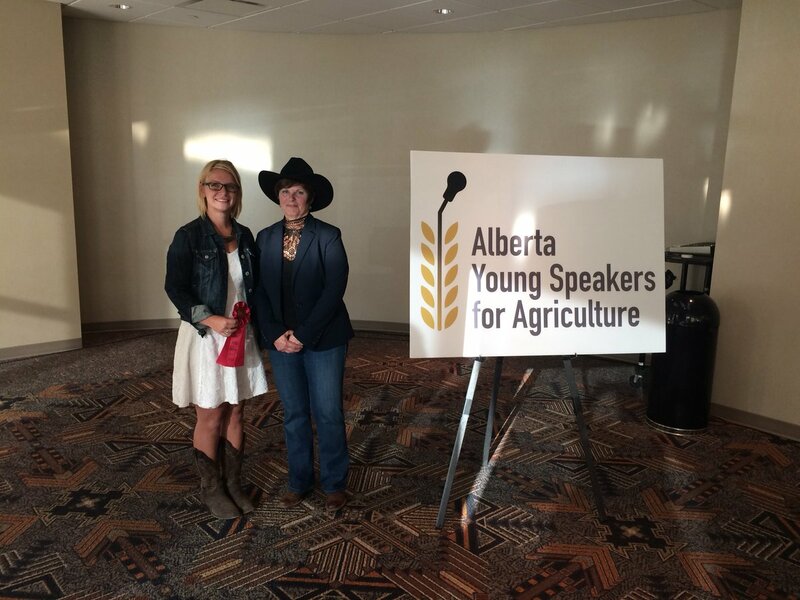 Over a dozen youth from across Alberta stepped up to the mic during the Alberta Young Speakers for Agriculture event at the Calgary Stampede to talk about many different aspects of agriculture. Evie Neubauer from the Medicine Hat area says it was important to compete in this event to help educate the general public. Kara Oosterhuis from Bow Island says an event like this helps break stereotypes. “I think it is important because lots of times when people think of agriculture they think of the old 50-year-old farmer that is standing in the middle of the field with a wheat-stalk sticking out of his mouth, so I think it is cool to see that there is a bunch of people that are actually interested in agriculture and they are also educated in agriculture,” said Oosterhuis. Neubauer says she gained some skills from competing. Oosterhuis says it really shows consumers how bright the future of the industry is.